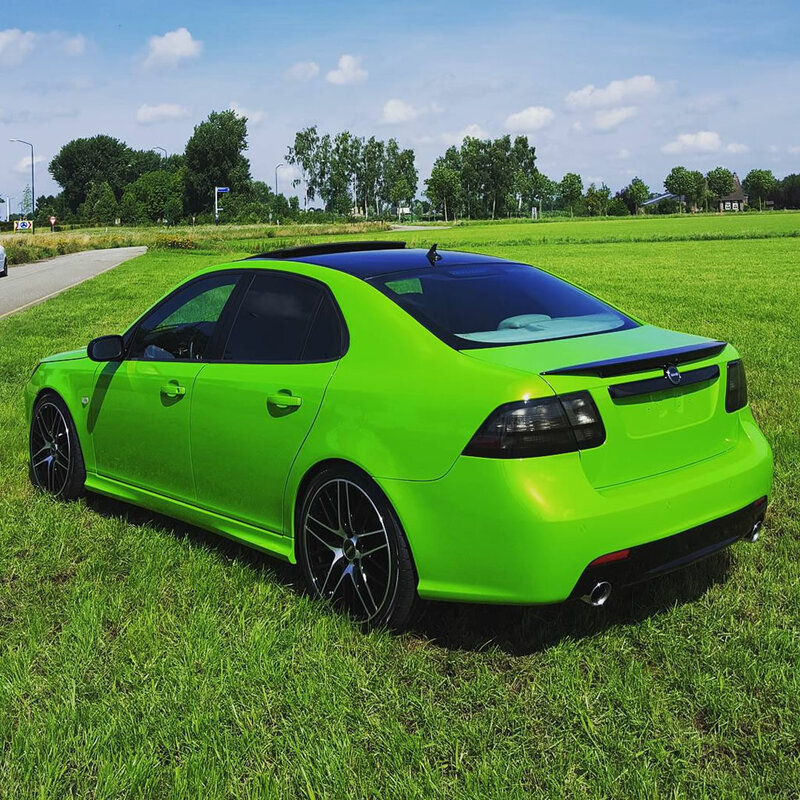 Green was a common color for Saabs in the previous century but most cars now come in grey, black, white, silver and other shades in between. 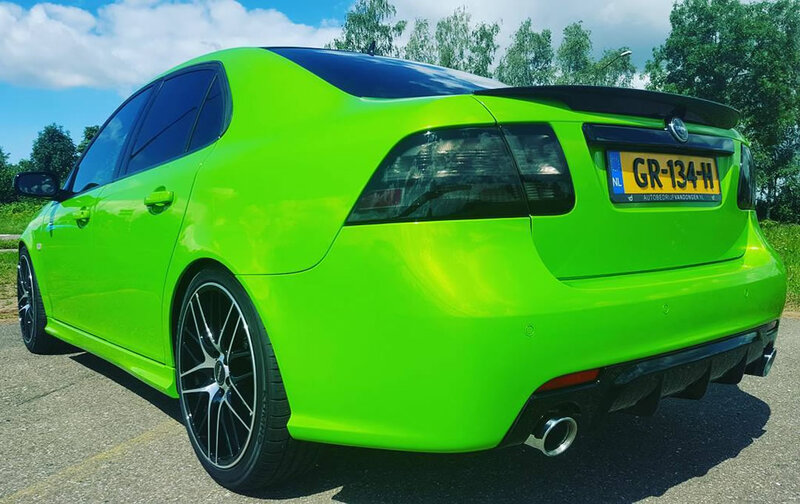 This green Saab 9-3 owned by Dave van Grunsven in the Netherlands is not the average green you still see on some cars these days. 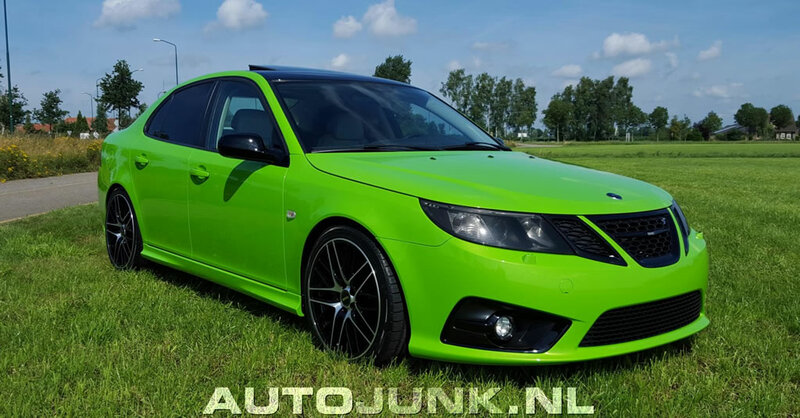 If you’re a car enthusiast like many of us Saab owners, you probably already associated this color with a certain sport scar manufacturer from Italy. 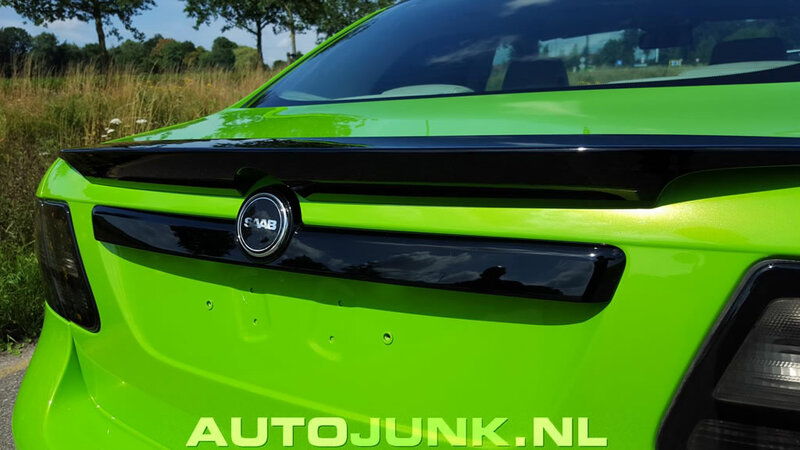 The color is of course Lamborghini Verde and “verde” is Italian for “green”. 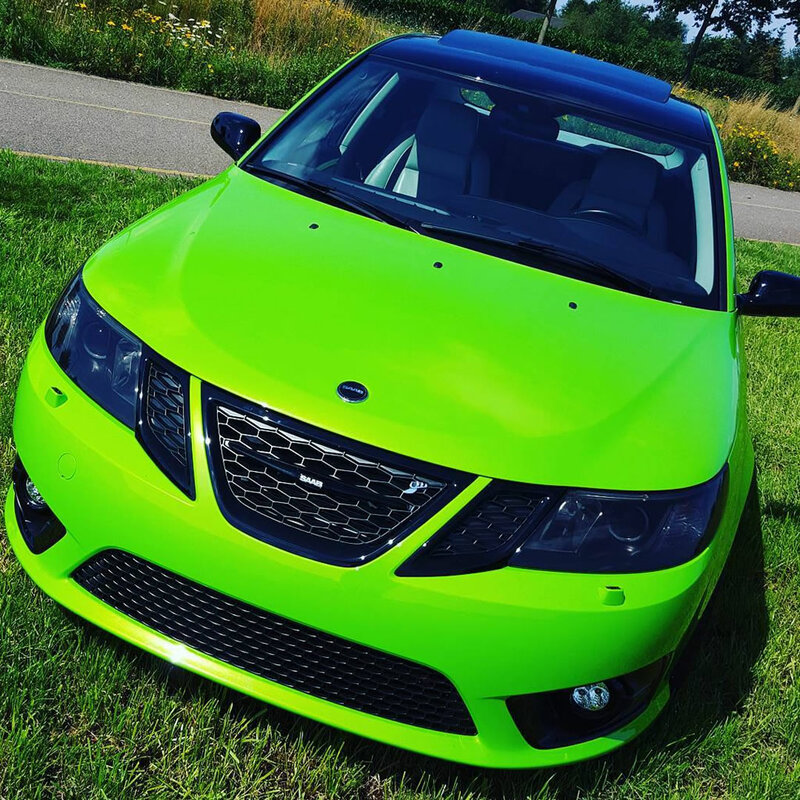 But the color is not the only part that makes this a special Saab. The engine is a 2.0t Biopower which originally came with 175 hp from the factory. 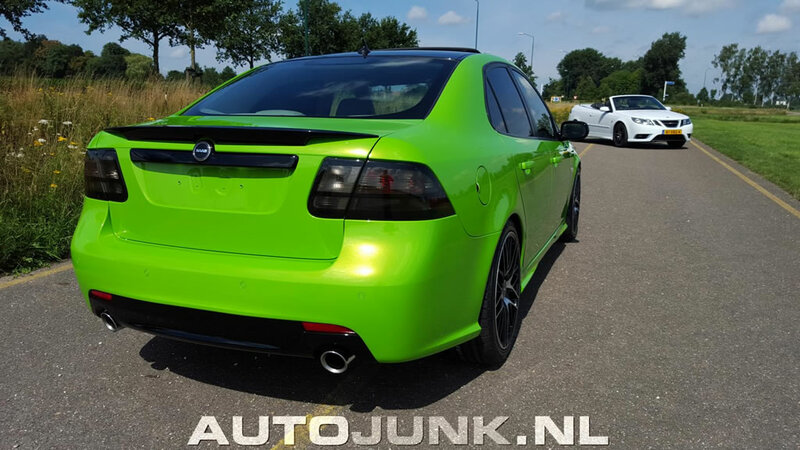 It was tuned by BlackTop-Tuning and now has an output of 240hp. So it is not just show but also a lot of go. 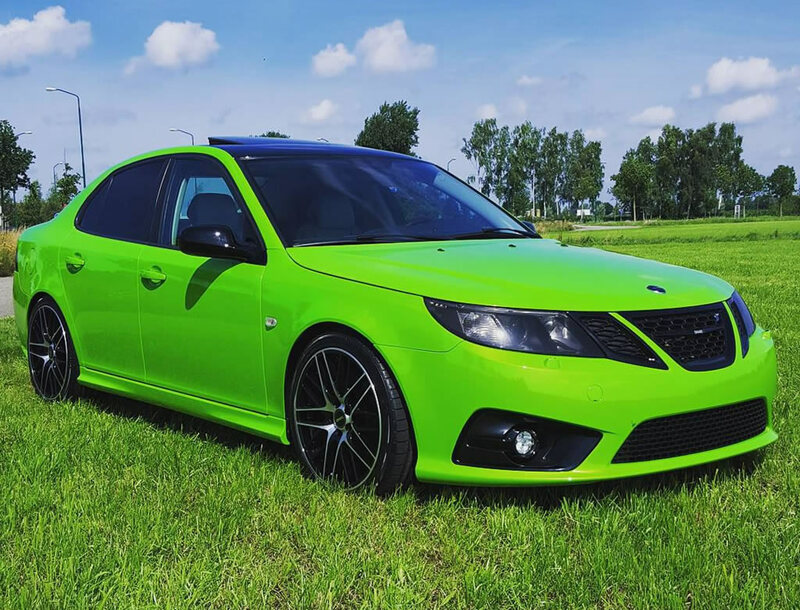 The exterior has been modified with 19″ Independence Edition wheels, a 2012 Griffin front bumper, Hirsch grille, rear Hirsch diffuser and Turbo X rear spoiler. 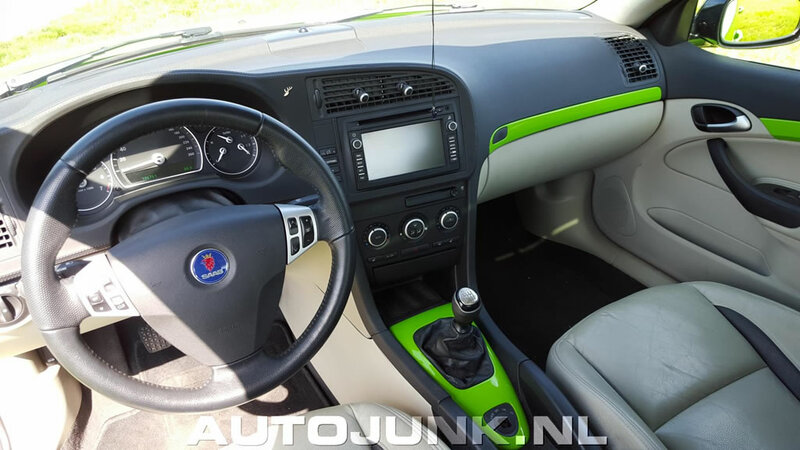 The interior was updated with a dashboard by Hirsch and matching trim in the same green color as the exterior. 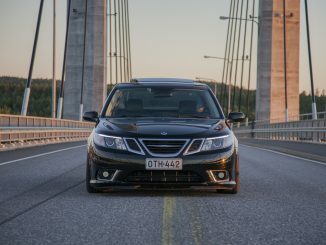 If you were at IntSaab 2016 last summer, you may have seen and heard this Saab 9-3 around Trollhättan. 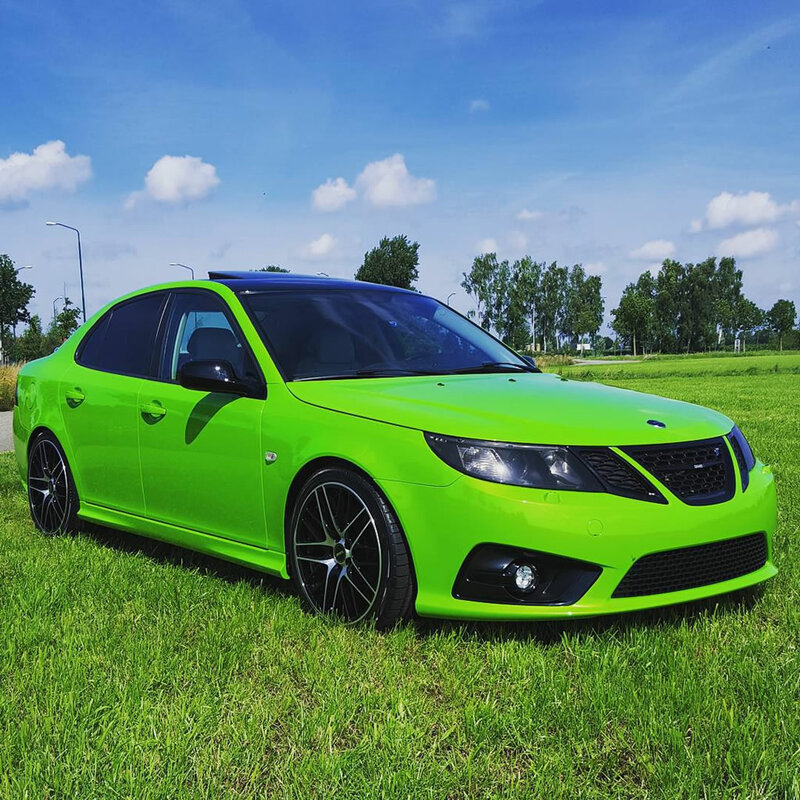 While it may not be the color choice for many Saab enthusiasts, it definitely is something you simply can’t ignore. 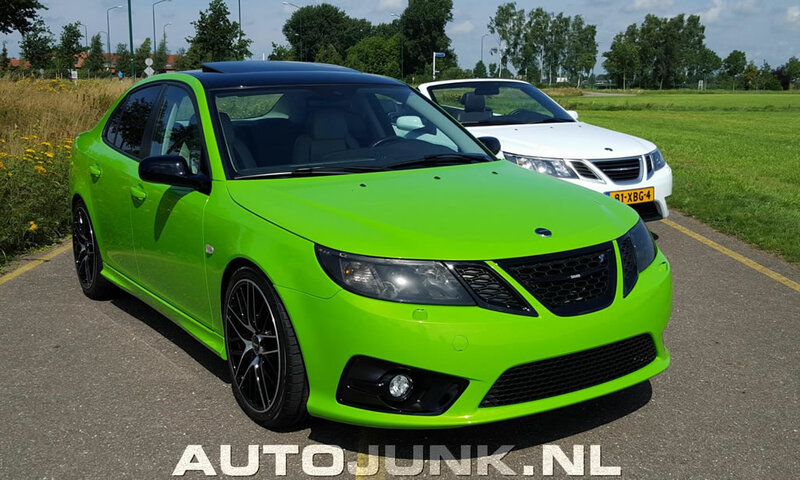 And it sure is nice to see a different Saab 9-3 like this next all the other boring color choices these days. 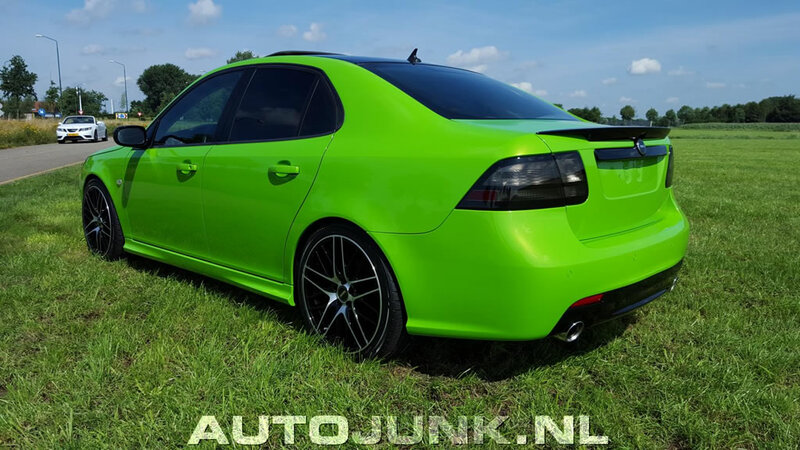 What do think of this modified Saab in this paint color? Please leave your comments below. 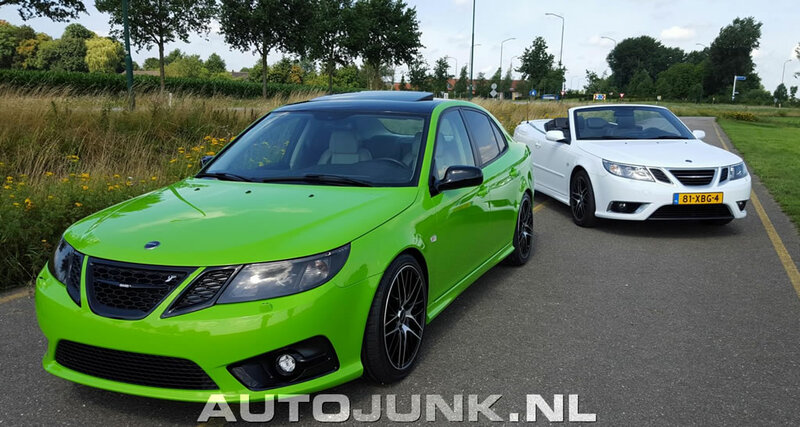 Do you have a modified Saab and would like to see it featured here on SaabWorld? 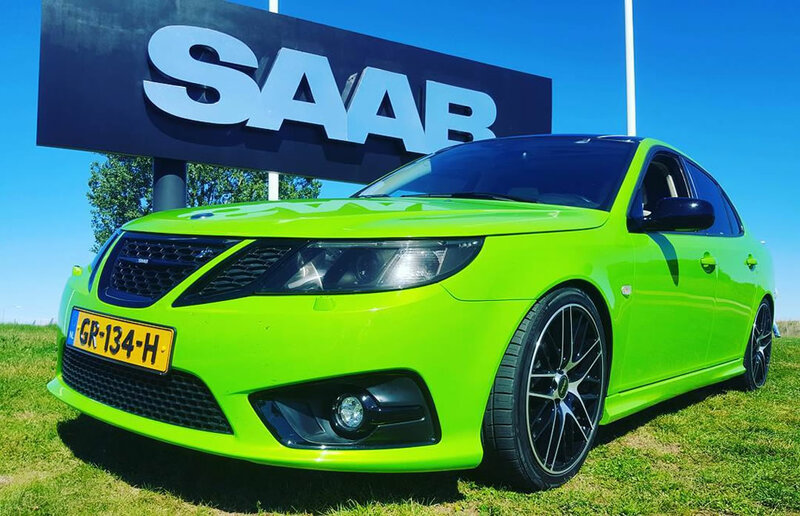 Please contact us with good quality pictures and information so we can share it here with other Saab enthusiasts. 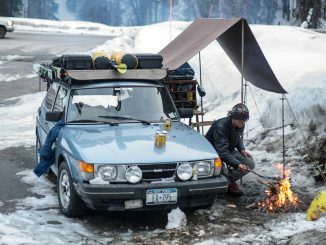 Pictures in this article used with permission from Dave. Beautiful, amazing, and so many many goods… one year and my 9-3 SS will be exactly so look… this is the best project what I Has seen. Regards Tomek.